What services does your business offer and what makes your business stand out from the competition? 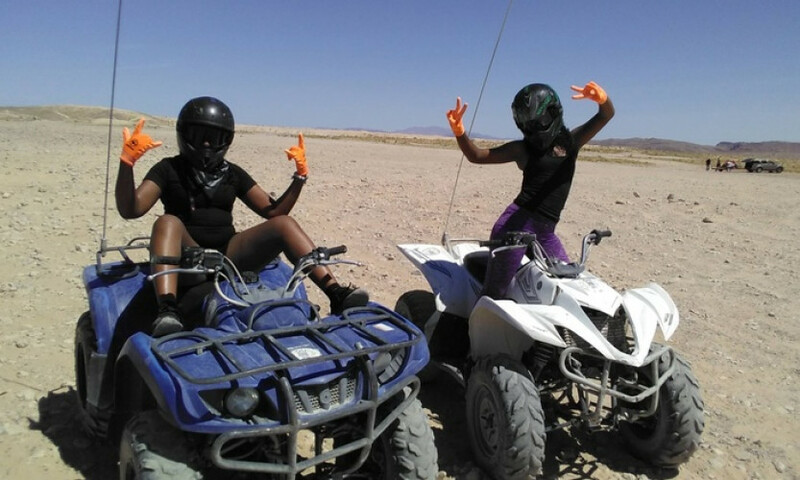 SunBuggy, world famous for their amazing Dune Buggy adventures, also operates more traditional ATV and UTV tours and rentals from basic to all day at multiple locations in California, Nevada and Oregon. Always a first class experience where everything needed to enjoy your adventure is included in the up front price, SunBuggy is a sure bet for a good time on your Las Vegas Vacation. What was the inspiration to start or run this business? We started SunBuggy to share the fun of Off Road Adventure Driving. SunBuggy makes Off Road Adventure Driving accessible to everyone by providing several optional vehicle types and adventures from mild to wild & mundane to Insane! So for ages 4 to 104 there's something just your speed at SunBuggy! What do you love most about your job? Satisfying peoples craving for adventure and excitement, and seeing how people just light up when they've had a proper fun time! What is the best reaction you've ever gotten from a customer? An executive from a large automotive corporation known for their driving machines of ultimate caliber was overheard after a SunBuggy chase experience stating "That's the most fun I've ever had on 4 wheels!"